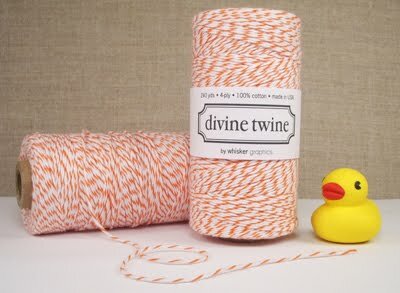 At this time of year, I know everyone else is snatching up red and white baker's twine to tie up their adorable presents, but I'm smitten with the orange stuff, available here. Maybe it could go with these printable orange gift tags for a zesty little holiday package. You have read this article with the title November 2009. You can bookmark this page URL http://jenkrebs.blogspot.com/2009/11/orange-baker-twine.html. Thanks! This Sunday is the first Sunday of advent, the four weeks leading up to Christmas. If you'd like to count down the days in December, download this sweet free advent calendar from Mibo. Just 10 minutes assembly is required, plus a craft knife, ruler, and glue. And in the meantime, Happy Thanksgiving, everyone! I'm taking tomorrow off from blogging to stuff myself with turkey and enjoy the company of some wonderful people. You have read this article christmas / downloads / printable with the title November 2009. 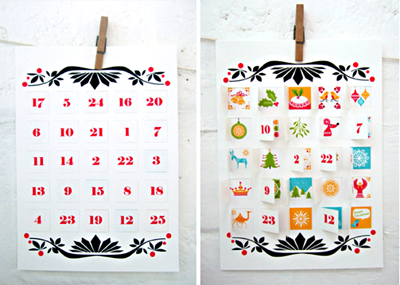 You can bookmark this page URL http://jenkrebs.blogspot.com/2009/11/printable-advent-calendar.html. Thanks! Sharon Rowan sent over a link to these little bird bookmarks she designed. You can download and print them right here. And as always, if anyone else has designed a lovely printable freebie, written a super DIY tutorial, or stumbled onto something fabulous, send me a link. I can't feature every submission, but I always love to see what you guys are up to. You have read this article downloads / printable with the title November 2009. You can bookmark this page URL http://jenkrebs.blogspot.com/2009/11/printable-bird-bookmarks.html. Thanks! Here's another freezer paper stenciling example, printed a couple weeks ago when I was trying out the technique. I had grand aspirations to get the fabric sewed into a zippered bag to use as a sample at the Craft Social stenciling table. But I ran out of time, of course. I finished it this weekend, only a week late. You have read this article with the title November 2009. 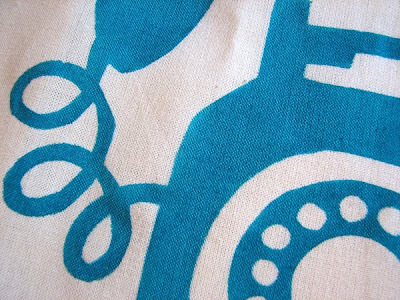 You can bookmark this page URL http://jenkrebs.blogspot.com/2009/11/another-freezer-paper-stencil-project.html. Thanks! You have read this article graphic design / time-wasters with the title November 2009. You can bookmark this page URL http://jenkrebs.blogspot.com/2009/11/things-gone-awry.html. Thanks! If you've got some time to kill, try this logo matching game. A fun way to look at logos if you're interested in design. I could have used this diversion during the short breaks in my jury duty this week. The case ended yesterday, so now I'm tending to the backlog of logo, stationery, and signage projects that piled up while I was gone. How come I don't have a "time-saver" category for posts? You have read this article graphic design / time-wasters with the title November 2009. You can bookmark this page URL http://jenkrebs.blogspot.com/2009/11/logo-memory-game.html. Thanks! Friday's Chicago Craft Social was lots of fun. The theme was handmade gifts and holiday decorations, like these felt gingerbread ornaments. I made this half-eaten gingerbread man using Elsie Marley's free pattern, available here. 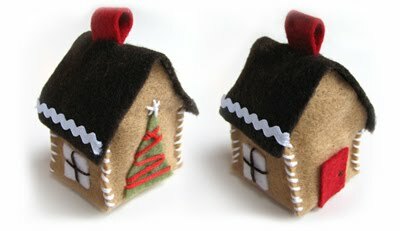 These tiny houses are based on Betz White's design in the e-book Crafty Tree Trimmings: Six Festive Holiday Ornaments to Make, for sale right here. You have read this article christmas / felt / tutorials with the title November 2009. 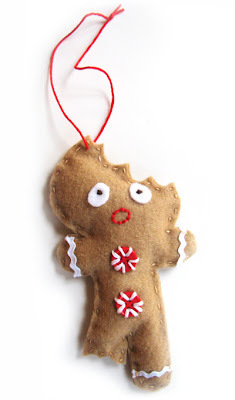 You can bookmark this page URL http://jenkrebs.blogspot.com/2009/11/felt-gingerbread-ornaments.html. Thanks! If you're the type to plan ahead—way ahead—you can download this free printable 2010 calendar by Erika of Gleaux at Love. Obsess. Inspire. I'm an expert procrastinator myself, so I don't need this until at least mid January. You have read this article downloads / printable with the title November 2009. You can bookmark this page URL http://jenkrebs.blogspot.com/2009/11/printable-2010-calendar.html. Thanks! Here's another free printable, courtesy of Amy Moss at Eat Drink Chic: a mini greeting card, envelope, and stationery set. Help yourself to this quirky little man with a candy cane right here. He says "holiday" in a subtle way. Well, actually it looks like he says "Greetings." But you get the drift. You have read this article christmas / downloads / printable with the title November 2009. You can bookmark this page URL http://jenkrebs.blogspot.com/2009/11/mini-printable-stationery-set.html. Thanks! Sew, Mama, Sew's third annual Handmade Holidays round-up of tutorials is in full swing over on their blog. Every day during the month of November, they'll feature a themed collection of sewing projects from the internet—all gifts you could make yourself. A daily recipe and printable are included, too. You have read this article sewing / tutorials with the title November 2009. You can bookmark this page URL http://jenkrebs.blogspot.com/2009/11/handmade-holidays.html. Thanks! You have read this article tutorials with the title November 2009. 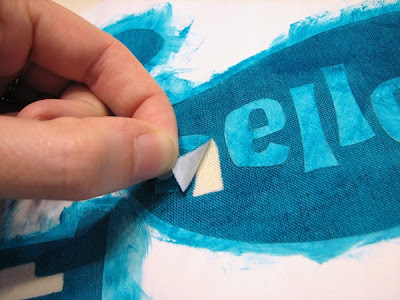 You can bookmark this page URL http://jenkrebs.blogspot.com/2009/11/how-to-stencil-with-freezer-paper.html. Thanks! Husband Alex usually makes lattes for us on Saturday mornings, so here's my secret plan to spruce his up. He's out of town at the moment, so I have plenty of time to practice dusting cocoa properly. Right now it sort of looks like this says "I blob you." I drew the design on a piece of paper, then laid a plastic lid on top. (This one is from a deli container I saved.) With an X-acto knife, I cut through the plastic, tracing along the design underneath. A tip: you'll never be able to cut the shapes out in one pass. Make many cuts on top of each other until you break through. Lay the stencil on top of your mug and sprinkle with cinnamon or cocoa. Dust the powder through a sieve or strainer to make a very fine layer. Since cutting your own stencil is a bit of a pain, you could also get some from Amazon or CoffeeStencil.com. And if you totally dig stenciling, don't neglect your cakes and cupcakes! You have read this article entertaining / tutorials with the title November 2009. 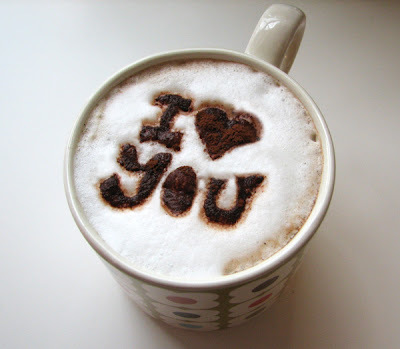 You can bookmark this page URL http://jenkrebs.blogspot.com/2009/11/diy-coffee-stencil.html. Thanks! There's no way for me to know which companies use the fabric I've designed. Since I don't get every catalog or browse every website in the known universe, I'm dependent on kind souls like yourselves who report sightings. Here are a couple of recent ones that thrilled me to pieces. Pieces, I tell you. I'm still picking them up. At Land of Nod: a limited edition child's Nod Chair. At Nordstrom: a Reese Li Baby diaper bag, laminated to make the fabric weatherproof and wipeable. You have read this article with the title November 2009. 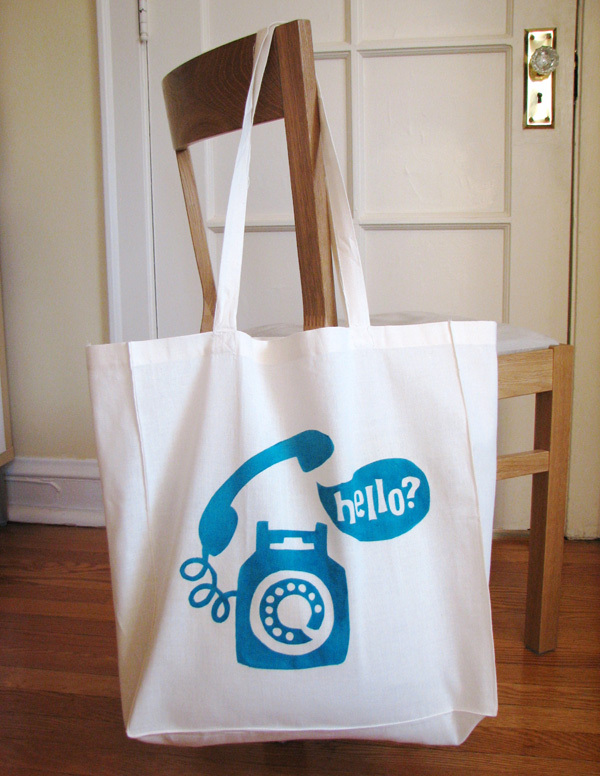 You can bookmark this page URL http://jenkrebs.blogspot.com/2009/11/fabric-spotted-in-wild.html. Thanks! Consumers everywhere, see how many corporate logos you can identify in six minutes in this quiz. I got 31 out of 36, then came to a screeching halt. Americans will have a distinct advantage in this game; sorry, international friends. You have read this article graphic design / quizzes with the title November 2009. You can bookmark this page URL http://jenkrebs.blogspot.com/2009/11/quiz-name-that-corporate-logo.html. Thanks! Download and print these pretty paper cup wrappers by Amy Moss at Eat Drink Chic. 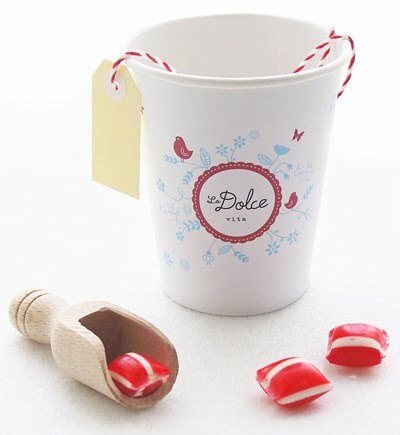 "La Dolce Vita" is Italian for "The Sweet Life," and you can fill your cups with candy or treats and give them as party favors. You have read this article christmas / downloads / paper / printable with the title November 2009. You can bookmark this page URL http://jenkrebs.blogspot.com/2009/11/printable-cup-wrappers.html. Thanks! 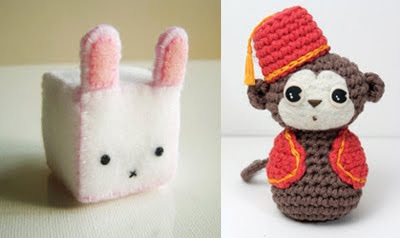 A collection of projects for babies and people who like small cute things. If you like big ugly things, these are not for you. And I should clarify that the recipient of some of these projects might be a baby; it's not that I think a baby could actually make that monkey. I don't have kids, but I'm pretty sure about that. You have read this article baby / felt / sewing / tutorials with the title November 2009. You can bookmark this page URL http://jenkrebs.blogspot.com/2009/11/tutorials-small-soft-cute-edition.html. Thanks! While poking around the internet, I came across artwork by Charley Harper, modernist designer and illustrator. Cincinnati's Contemporary Arts Center has a bio on Mr. Harper, along with a few high resolution images of his work you can download. Not to be used commercially, of course, but you might put a bird on your desktop or make yourself a print. I'm a fan, and use my Charley Harper plates almost every day. You have read this article art / downloads with the title November 2009. You can bookmark this page URL http://jenkrebs.blogspot.com/2009/11/charley-harper-high-res-images.html. Thanks!